Verde Farms, the leading U.S. provider of 100% grass-fed, 100% free-range, organic beef announces the addition of two new grilling favorites to its product line. As the demand for grass-fed beef continues to grow dramatically at grocery,* consumers can now find flavorsome all-time favorites with honest ingredients and truly responsible sourcing. 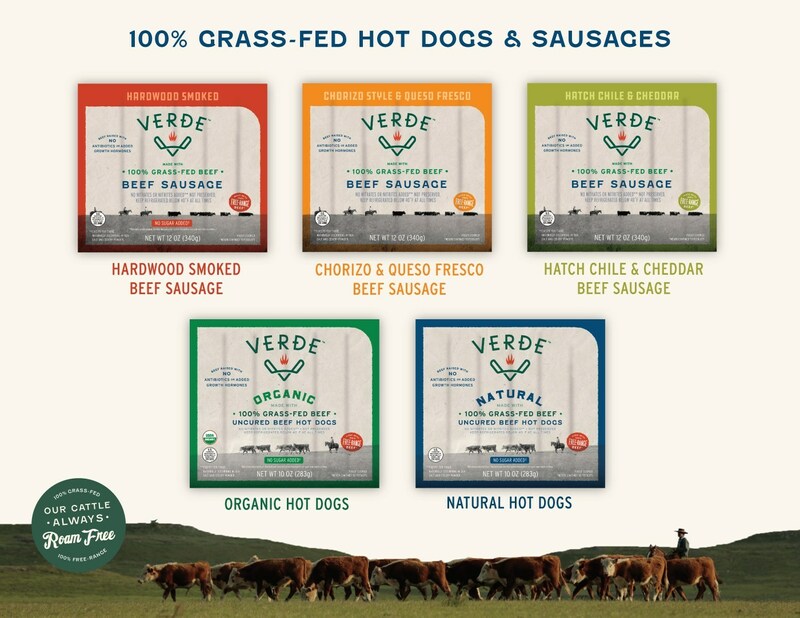 Verde's savory all-beef hot dogs and dinner sausages feature real ingredients and inspired flavors for today's consumer.